Michael Lorenzen is one of the most likable Reds, having delivered one of the few endearing moments of the rebuild, donating significant time to charity, and having a good amount of success on the field. That field success has come in several different forms. He has shown promise as both a hitter and a pitcher, learning to do both almost exclusively at the Major League level since being drafted. This season, Lorenzen has a 2.45 ERA and has whacked the ball around the yard, homering in three straight plate appearances. If that wasn’t enough, he runs extremely well, too. Lorenzen has an interesting background. He played centerfield at Cal State Fullerton while also closing out games for them his final two years with a 98 MPH fastball and promising slider. He might be the best pure athlete on the Reds team. While inconsistent, he’s mostly been a good pitcher. While in a limited sample, he’s been an effective hitter. His many talents lead to an interesting question: what in the world should the Reds do with him? Wolfe chose the second option, suggesting the Reds were already using him in the best way. It’s a great piece and quite reasonable, but I decided to take a deep dive into this topic. To determine what makes the most sense, we need to look at Lorenzen as both a hitter and a pitcher and evaluate where his current skill level is. Beyond the Box Score did an excellent profile on Lorenzen as a hitter. I won’t rehash all of it, but here are the basics. Lorenzen had a strong final season at Cal State Fullerton where he hit .335/.412/.515, but while praising his defense, many scouts were concerned that the bat wasn’t good enough to succeed in professional baseball. A Minor League Ball draft preview had 70 grades on his arm and defense but only 40 grades on his bat and power. It’s fair to note that Lorenzen has since put on a few pounds of muscle and shown better than 40 grade raw power. He’s jacked up and can certainly hit the ball a long way. Lorenzen spent only one full season in the minor leagues and hit .175/.250/.325 in his limited plate appearances with very few walks. He then received 41 plate appearances as a starting pitcher in 2015 and hit .250/.270/.306, which isn’t great but is far better than the average pitcher. Lorenzen’s heroics with the bat this year have boosted his MLB career numbers to .262/.286/.541. That .827 OPS is pretty eye popping, even in a small sample. However, some of those dreary scouting reports have proven true. Lorenzen has walked once and struck 23 times in 69 plate appearances. Opposing pitchers are unlikely to walk another pitcher, but Lorenzen has plenty of swing and miss to his game. Based on what we’ve seen so far, Lorenzen looks like the same raw hitting talent that was drafted in 2013, an assessment that makes sense because he hasn’t been developed as a hitter. He has power now and can really run, but his plate discipline isn’t great, and MLB pitchers can exploit that once they realize Lorenzen isn’t an ordinary hitting pitcher. Lorenzen is likely a very good hitting pitcher. Probably one of the best we’ve seen. But he’s also likely a below average hitter overall right now and would need time to develop those skills to become a position player. The Reds drafted Lorenzen in June 2013 with the 38th pick overall. Teams were split on whether he would be a position player or pitcher as a professional, but the Reds preferred him as a pitcher, even though he had only thrown 44 innings in college combined over the previous two seasons. They apparently told him he might get to play some in the field as well, but that never happened. Amazingly, Lorenzen began his first full season as a professional in AA in 2014. For someone who didn’t pitch full time in college, he did exceptionally well, posting a 3.13 ERA and 51.4% GB% in 120.2 innings. He didn’t strikeout a ton of batters, but he did keep the ball in the ballpark. He was a top 100 prospect as a starter by both Fangraphs and Baseball Prospectus after the 2014 season. Then, 2015 happened. The Reds played around .500 ball in April and looked like they might contend. They needed a starter when Homer Bailey got injured late in the opening month. Even though Lorenzen had only made three starts at AAA and had been a full-time pitcher for roughly one year, the Reds called him up to the Major Leagues. That seems crazy in hindsight. Things did not go well. While Lorenzen had a 3.38 ERA after his first ten starts, his peripherals were ugly and suggested a reckoning was coming. It came and was unmerciful. Lorenzen had an 8.37 ERA over his next 11 starts, and while some of that was bad luck due to a .403 BABIP against him, he was overwhelmed by the competition. After getting his brains beat in on his fastball in 2015, Lorenzen worked in the offseason to add a hard sinker and cutter, both fastballs with much more movement than his four seamer. Armed with new weapons, Lorenzen seemed to have the inside track on a starting spot to begin 2016. Unfortunately, he made only one Spring Training start, throwing two perfect innings with two strikeouts, when he suffered an elbow injury. He would have returned at the end of April or early May, but he then contracted Mono, further delaying his throwing program. 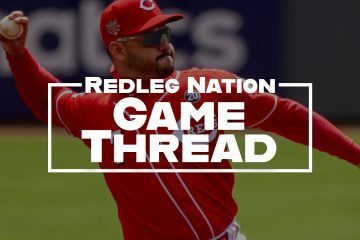 When he finally debuted in late June, the Reds decided to put him in the bullpen even though the team gave 190 starting innings to John Lamb, Tim Adelman, and Alfredo Simon. Those guys combined for -0.7 pitching WAR. Lorenzen dominated. He had a 2.88 ERA and 2.75 SIERA while striking out 24% of batters and walking only 6%. His GB% was over 60%, and it’s awfully hard for opposing hitters to bash homeruns on groundballs, even at GABP. Like a starter, he was still throwing 4-5 pitches, and the new sinker and cutter were smashing successes. Lorenzen was riding high going into 2017, and while he wanted to start again, the Reds put him back in the bullpen. Things went well through the All Star break as Lorenzen had a 2.93 ERA. After the break, the season got away from him, almost entirely because his homerun rate spiked. He seemed to struggle with mechanics as the season went on, adding a “recoil” to his delivery that broadcaster Chris Welsh felt was harmful. In 2018, Lorenzen again began the year on the disabled list. Since his return, he has had one of the strangest years I can remember. In roughly 25 innings, Lorenzen has a 2.45 ERA and 3.16 FIP, both fantastic numbers. He continues to get a lot of groundballs and hasn’t allowed a homerun, getting a good number of infield pop ups compared to past seasons. But, his strikeout numbers are concerning. Here’s a nice table with some telling information. Woah. Which one of these is not like the other? In 2018, Lorenzen’s strike out percentage has dropped significantly. If fairness, he has raised his K% with four straight strong games, but in general, batters are making all kinds of contact against him, and it’s exclusively on pitches outside the zone (O-contact%). That’s a huge and uncommon spike in contact and has led to lots of problems. First, teams are getting lots of hits against him. With that many balls in play, batters will get hits even when they don’t strike the ball well. In the recent White Sox series, Lorenzen gave up four hits but three of them had a 40% or less chance of being hits based on Statcast data. The one exception had an exit velocity of 62.7 MPH. He could have easily given up zero hits. While opposing batters are slugging only .326 against Lorenzen because he allows mostly singles, he pitches with runners on a lot. Second, despite some evidence that Lorenzen’s fastball control has improved, his walk rate is up. Lorenzen has consistently gotten ahead in the count this season, but with two strikes, he has frequently failed to put hitters away. No game exemplifies Lorenzen’s inability to finish hitters than his appearance against the Cubs on June 21. He faced five batters and was ahead 0-2 or 1-2 on four of them (Kris Bryant made contact on the second pitch of the at bat); Lorenzen failed to strikeout any of these five batters, allowing two hits and a walk on three of the four plate appearances. Get ahead and struggle to put hitters away. That’s been Lorenzen’s season to date. The big questions are why and how can he fix this issue? Except for yesterday, the slider just hasn’t been good enough. Batters are fouling it off or putting it in play and while Lorenzen has allowed only one hit on the pitch all year, he needs it to be a swing and miss pitch because it’s the only breaking pitch he’s using this year, which brings us to the second cause of Lorenzen’s strikeout issues. He has completely abandoned his curveball. I mean completely. Lorenzen hasn’t thrown one curveball this year after using over 11% of the time in 2017. That might not seem like a ton of pitches, but with two strikes, Lorenzen threw the curve over a fourth of the time last season and had more strikeouts with the curve than any other pitch. He got whiffs on over 40% of swings. That’s awfully good. Now, batters also had an ISO of .222 against the curve, meaning that when they did hit it, they really hit it. But, no pitch in Lorenzen’s arsenal was better at generating swings and misses. It’s also his slowest pitch at an average of 83 MPH, giving hitters a very different look after seeing his 96 MPH sinking fastball. The only other pitch he’s used is a changeup, an offering that hasn’t been very effective in his career. He had some success with it against the Cubs yesterday, throwing it five times and getting two swings and misses, but he’s thrown it only 14 times all year. We need to see it more to know whether it has improved or not. He might benefit from bringing back the curveball as a put-away pitch. Getting those swings and misses will eliminate baserunners and help him get through innings more quickly, though he has been pretty efficient overall this year. Without it, he is a fastball, cutter, slider guy. He’s pitching like a bullpen guy but still getting some extended outings. If he gets his strikeout rate back to 2016-2017 levels and can continue keeping the ball in the park, he goes from solid to dominant. What Should the Reds Do With Him? Option one is the riskiest and the least likely to work. Lorenzen hasn’t played the outfield or worked exclusively at hitting in five years. That does make his success in a small sample more impressive, but he’s 26 and would likely need to head back to AAA for a while to work on his swing and plate approach. Even then, it’s most likely that Lorenzen wouldn’t hit enough to become a MLB regular, though that possibly certainly exists. Maybe the biggest argument against making Lorenzen a full-time position player is that he’s already proven valuable as a pitcher and could very well get better. Remember, Lorenzen threw 44 innings total as a college pitcher and was in the big leagues less than two years after he was drafted. He’s still learning how to pitch while already having some success. The second option is the safest. Lorenzen has proven valuable as a reliever, posting a 3.57 ERA and 3.63 SIERA over 2+ seasons (yes, even after the second half last year). He can give the Reds multiple innings and because starters don’t go deep into games anymore, teams need relievers who can get through a lineup one entire time. Lorenzen can also hit for himself and on non-pitching days, he can pinch hit, giving the Reds an extra bat on the bench. There’s definite value there. Option three is enticing but to get through 5-6 innings, Lorenzen needs to show that he can miss bats like he has in his last few appearances. Pitchers with his current strikeout and walk percentages can’t succeed long term as starters. Eventually, that reality will catch up with him. But, Lorenzen has shown the ability to strikeout batters the last two seasons. He has the pitches to do it; it’s a matter of using and executing them. If Lorenzen really has figured out how to reduce his homerun rate, which is the biggest thing that crippled his second half in 2017, a return to missing bats would take him to another level. If he could get through 5-6 innings, starting him would make good use of his bat as well. He would get 2-3 plate appearances per start and could pinch hit on all his off days since he wouldn’t pitch in relief. 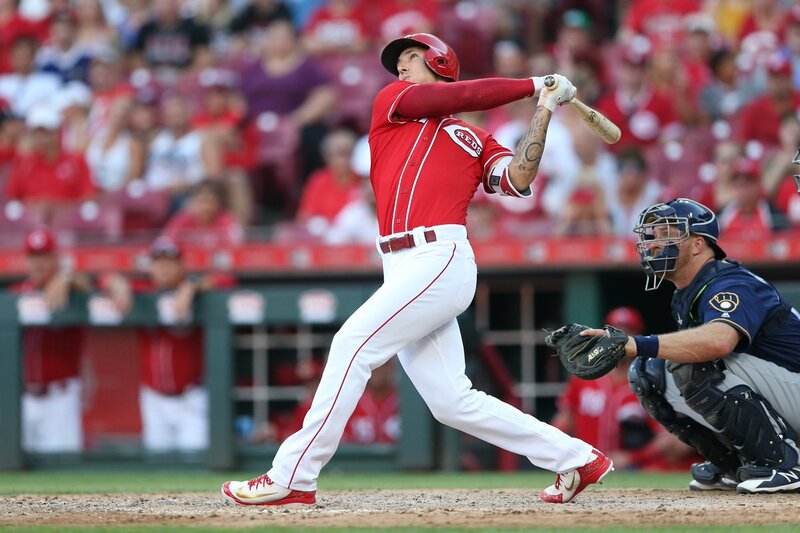 The Reds should use the rest of 2018 to see how much they can get out of Lorenzen’s multi-faceted game. Tell Lorenzen use his pitches like a starter. That may mean bringing back the curveball or showing that the changeup has developed into a useful pitch. He needs to do whatever he can to miss more bats and walk fewer hitters. Challenge him to continue limiting extra-base hits while using his secondary pitches to put away hitters. If he can consistently get through 3-4 innings with reasonable efficiency, something he’s already done several times this year, I give him starts the rest of the year to show he can handle it. Yesterday was a good start to this plan. Lorenzen let up only one hit, a groundball single, while recording three strikeouts in 2 2/3 innings. He had six swing and misses. I believe starting Lorenzen is the best use of his talents with both his arm and the bat, but I also know that despite the ERA this season, he has some red flags. Time to force his hand. If he wants to start, here’s his chance. If Lorenzen succeeds, the Reds get a solid starter who will give them an advantage with the bat over other light-hitting pitchers in the National League. On off days, he becomes an extra bench bat the Reds can use without losing a reliever in the bullpen. If he falls flat, no problem. He goes back to his relief role where he’s had success and pinch hits on occasion. The team really doesn’t have anything to lose in this scenario. Stretch hime out! Stretch him out! Use him as a starter. He’ll get his ABs while he’s in the game. Use him as a bench bat on his days off. The concern I would have with using Lorenzen in the field on occasion is the increased possibility for injury; and we already have a backlog of position players. I’d rather see how Peraza could handle CF. Or Scooter in one of the corners. Maybe Senzel. If they played Lorenzen in CF, I’d like to see a commitment to it. Meaning, removing him from the rotation-starting and bullpen. The thinking here looks pretty sound Nick, and since the Reds are not playoff contenders, what’s the harm in finding out how Lorenzen would do now as a starter? If he’s willing to use his offspeed pitches more, and to work to develop them in order to get a shot at starting, I think it makes sense. Especially if a) he prefers starting and b) he knows that if he fails he’s not out of a job, just back to his old very good job as a reliever and pinch hitter and runner. As you say, with the Reds a non-contender there’s no big downside. Significant upside with little downside. Even if he did get hurt, it’s unlikely to be a long-term issue, and they have plenty of former starters that could give them multiple innings out of the pen if need be. The breaking/offspeed stuff has been good enough in the past. Hopefully, yesterday was a big step forward for the slider and changeup. No doubt. These are all advantages of his current role. It’s now or never to transition as a SP for Lorenzen. The Reds also need to go into 2019 ST with rotation clarity. No tryouts. Disco should be fine on innings to complete the year. Mahle should be ok to get to mid September. Castillo needs 3-5 more starts to determine if he stays in the rotation. Its a sophomore slimp. He will figure it out. Trade Harvey at the All star break and move Stephenson into the rotation for 12-13 starts. Lorenzen has only thrown 29 innings. Stretch him out 3-4 innings per appearance every 4-5 days over the next few weeks. Throw a simulated game over the All star Break. Move him into the rotation in late July for Romano. Romano has thrown 98 innings. Give him 4-5 more starts and then flip him to the bullpen to manage innings in August/ September. Yeah, this is the idea. Lorenzen has already thrown between 40-50 pitches 4 times. He’s thrown as many as four innings. If you are upping his pitch count by 10-15 pitches per appearance, it wouldn’t take long for him to get to 75, maybe only two appearances. He’s semi-stretched out as it is. IÃ¢â‚¬â„¢d rather radically change our head coachÃ¢â‚¬â„¢s bullpen usage. Riggleman pulled Castillo slightly early the other day, but Lorenzens role in that game was perfect. If he was used that way 1-2 times per week heÃ¢â‚¬â„¢d accumulate 120 innings, get to hit, and see no hitter more than twice, most only once. Perfect scenario for everyone. With Lorenzen, I file becoming a starter in the Ã¢â‚¬Å“Promote until incompetentÃ¢â‚¬Â section. HeÃ¢â‚¬â„¢s perfect just like this (with maybe a few additional ABs +\- some LF thrown in). A very good and comprehensive look at this complex issue. I hope somebody in the Reds org is working half as hard on answering the same questions. Thanks, Jim. That’s very kind. I spent way too much time on this. I hope that for the rest of the season, the Reds keep using Lorenzen like they have been lately on longer stints that require a day or two off from;pitching when he can be used from the bench. Come the off season, I think he should go to a high level winter league to play field and bat. Based on what he does there, they can revisit how to use him in the future. Right now there are outfielders emerging at A+ and AA that could be ready for MLB as soon as Lorenzen would be as a position player if he needs to go back to the minors for catch up development. These guys would also be younger and cheaper. So unless he were to look like a bona fide MLB outfielder in winter ball, I think the window is closed for him to be a full time OF. This said, in the future the Reds should use him either as a starter or in a set pattern as a reliever to have him available off the bench several days a week. I’m thinking primarily of TJ Friedl who was hot all season at A+ and has gotten even hotter in 2-3 weeks at AA. It wouldn’t fit the Reds typical pattern; but, if Friedl hasn’t slowed down by the end of July, it wouldn’t be out of the question to move him up to AAA for the last month of that season just to get him a head start on next year. Also Phil Ervin has been on something of a run at AAA and may be playing himself into another look. Lorenzen in the rotation and batting 6th. Combined with Mahle, Disco, and Castillo….that’s your 2-3-4-5 in whatever order you like. Then you go Latos on steroids and trade Hunter Greene, Peraza, Garrett…whatever it takes for Blake Snell. There’s our Kershaw and start printing playoff tickets! I understand Michael Lorenzen is an amiable person and that’s all to the good. I hope the Red’s powers that be have inquired from Lorenzen how he really would like to use his talent which is considerable. The clock is not stopping, so a decision is needed. In the past he has always made it clear he considers himself an all around player and spoken of wanting 2 way opportunities. What a terrific post, Nick. What’s your sense of the claim that Lorenzen suffered injuries each time he tried to be a starter? My two cents is that he’s too good of a pitcher with too many viable pitches to not try him as a starter. Starters are many times more valuable than relievers. He’s nothing like the pitcher he was in 2015, either in portfolio or attitude. But at least if he’s going to be a reliever, using him for 2-3 innings is a valuable way to go. I’m just not convinced that starting caused his injuries, especially this season. He threw five times in Spring Training this year and threw no more than three innings, which he only did twice. He never threw more than 29 pitches. It’s not like he had stretched out to 90 pitches and then couldn’t handle it. He’s already thrown more than 30 pitches 7 times this season. He’s more stretched out now than he was at Spring Training when he was auditioning to start. From May 28 to June 15, Lorenzen made six appearances and five were multi-inning appearances. One of those was three innings and one was four. That stretch was far more taxing on his arm than anything he did in Spring Training. Lorenzen made the comment earlier in the year that he’s learned he doesn’t have to throw as hard as he can to get guys out. We’ve seen a little dip in his velocity as a result, but he’s remained effective. I’m hopeful that not maxing out on every pitch could keep him healthier. Obviously, I don’t know anything for sure. But the Reds have been harder on Lorenzen’s arm out of the pen in the regular season than they were when he was starting in Spring Training. Its kind of hard to say plate discipline is a problem w/Lorenzen when he gets 10 atbats a year? I think it was the White Sox series, but the word was out and they threw him like 5-6 breaking balls and he still fouled off the one 98 mph fastball they threw him. They should DH him one game in Cleveland, but of course they won’t. The guy is just a freakish athlete and can’t be lumped in with other guys. Just like yesterday…he just randomly pulls out a changeup that he hasn’t used all year and starting feathering it on the outside corner to lefties. Use him as much as you can in whatever capacity they choose, but use him as much as possible! I think they should DH Scooter in Cleveland and play Herrera at 2B. I’m much more interested in whether he is an option there, or as a trade piece, than in whether Lorenzen gets to bat more than one time in a game. Great post Nick. I have no problem with option 2 or 3. I would really like to see what he could do as a starter, so seeing him put an off speed pitch back in would be good. Your plan sounds reasonable. But I will also say that Riggleman has used Lorenzen a whole lot better than Price did. I do not like a lot of what Riggleman does (Vote No on the bunt) and this is in no way endorsing him to be resigned as manager, but you have to give him his due in this one area. I generally agree on how Riggleman has used Lorenzen. I’ve felt Riggleman has removed Lorenzen a little too hastily at times (like yesterday), but that’s a little nit picky. I think it is not just Lorenzen he removes a little too quickly. Listening on the TV and radio, Welch and Brantley both talk about what a big deal it is for a pitcher to sit down then get back up and pitch another inning. Yet Riggleman almost has a pattern of quick hooking a reliever for 1 out then bring the same pitcher that got the out back for the next inning. He’s not a starter, he’s not a starter, he’s not a starter…. I haven’t read the comments yet so someone may have already said this. I have a theory on the curveball Nick. I think that Lorenzen stopped throwing it because of the strain it puts on his elbow. Hard to know if that has any merit or not but that would be my best guess. I have no idea. Maybe youÃ¢â‚¬â„¢re right. Does the slider put less strain on the elbow? My best guess is that it did get hit hard when batters connected, and he and the team wanted to limit some of that damage. Could be health. IÃ¢â‚¬â„¢m just speculating.